We are able to process a wide variety of materials, allowing you to take advantage of the accuracy, repeatability and finesse that only the laser can provide. 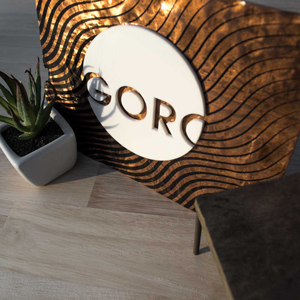 Wood is a very versatile material which can be cut and engraved to reveal subtle effects of the grain. Depending on the species of wood, the effect can be quite subtle or very pronounced. It gives you the opportunity to express the uniqueness of your piece by allowing its own character to shine. All species of softwoods and hardwoods. Acrylic is one of the most versatile materials to use and is an easy way to take advantage of the flame polished crisp edges produced with the laser. It comes in a wide range of colours, styles and thicknesses which give you great versatility. 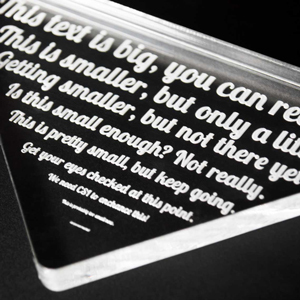 We can engrave any style of Acrylic with clear and matte black being some of the most effective. We can cut acrylic up to 12mm thick. Paper and cardboard can be cut and engraved, allowing you to create new ways of presenting your ideas with traditional materials. 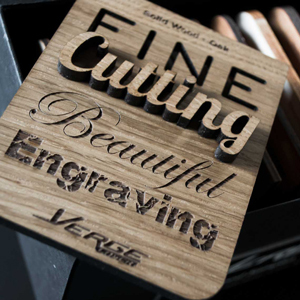 The laser can offer fine degrees of energy which allows for the finest of materials to be cut and even engraved. We can cut and engrave paper, cardboard and corrugated cardboard of most thicknesses. Glass delivers a very stylish approach to your ideas. 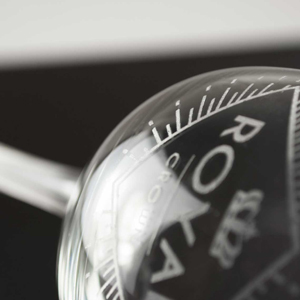 We can engrave text, logos and even photographs to various glass types such as float glass, crystal glass and mirrored glass. 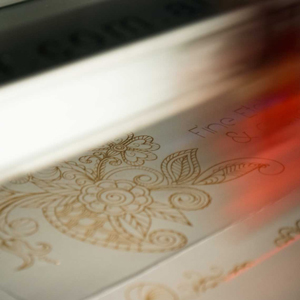 We also have the ability to engrave your designs directly to conical and cylindrical objects such as glass cups and vases. We can process objects up to 485mm long with a diameter of 184mm and a maximum weight of 3kg for conical forms, and 680mm long with a diameter of 94mm and a maximum weight of 10kg for cylindrical forms. Traditionally textiles are processed with physical knives or scissors. But with laser even the most complicated of designs are easy to produce. 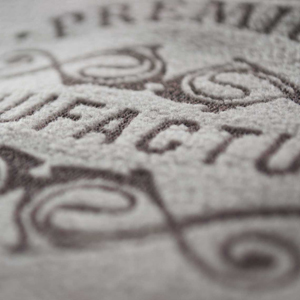 We are able to cut textiles like cotton, felt, silk, fleece, lace and polyester. We can even engrave some textiles like fleece. 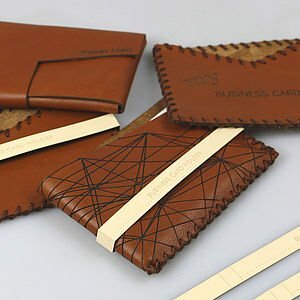 Leather items like wallets, book covers, smart device covers, and more are made more elegant when cut or engraved. We can process any grade of leather of any colour. While we cannot cut metal, we are able to engrave most metals which will accept a special coating we use. This coating once engraved will bond a black coloured substance to the metal’s surface. This substance becomes chemically bonded to the metal and can only be removed with abrasion, so it is extremely durable.